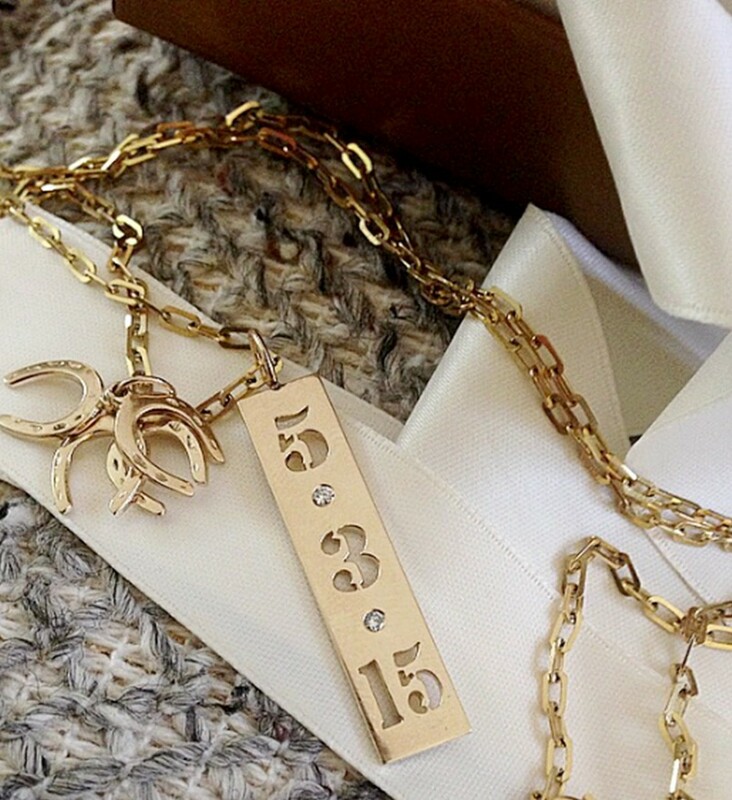 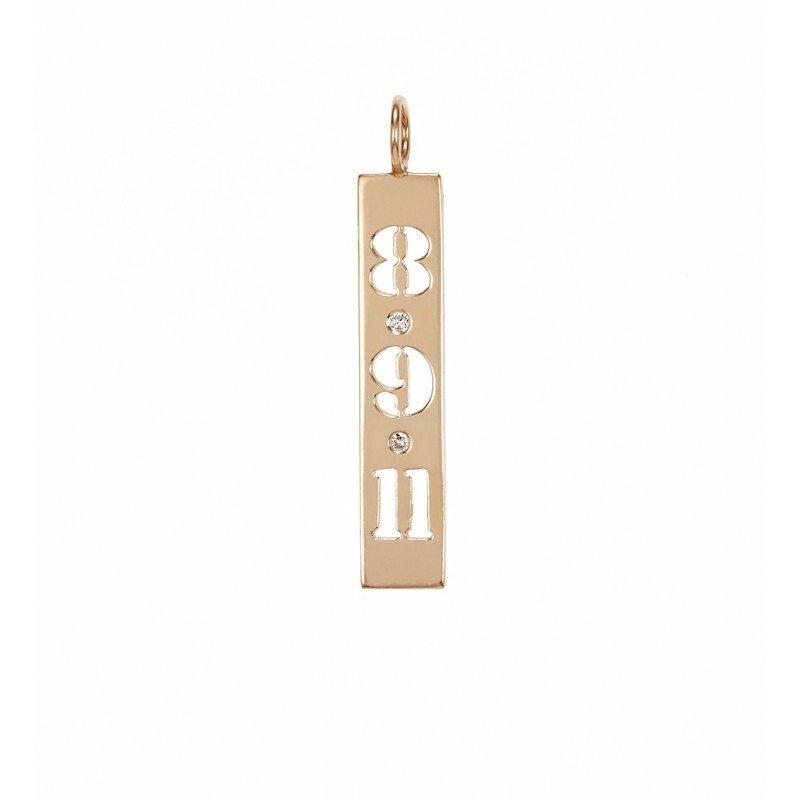 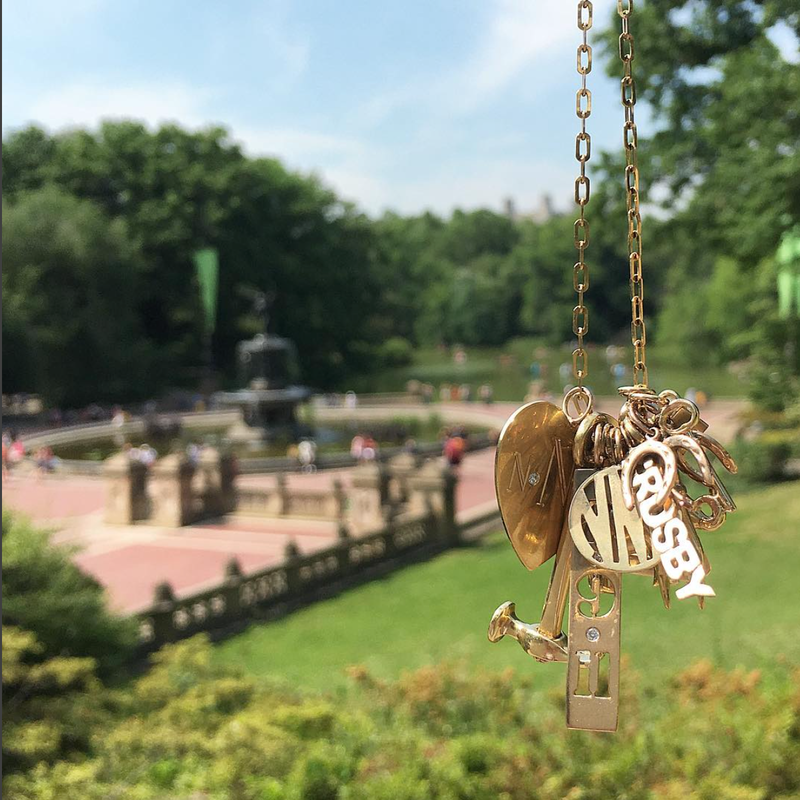 Each solid gold date charm is meticulously hand-cut. Diamonds separate the day and month and month and year. 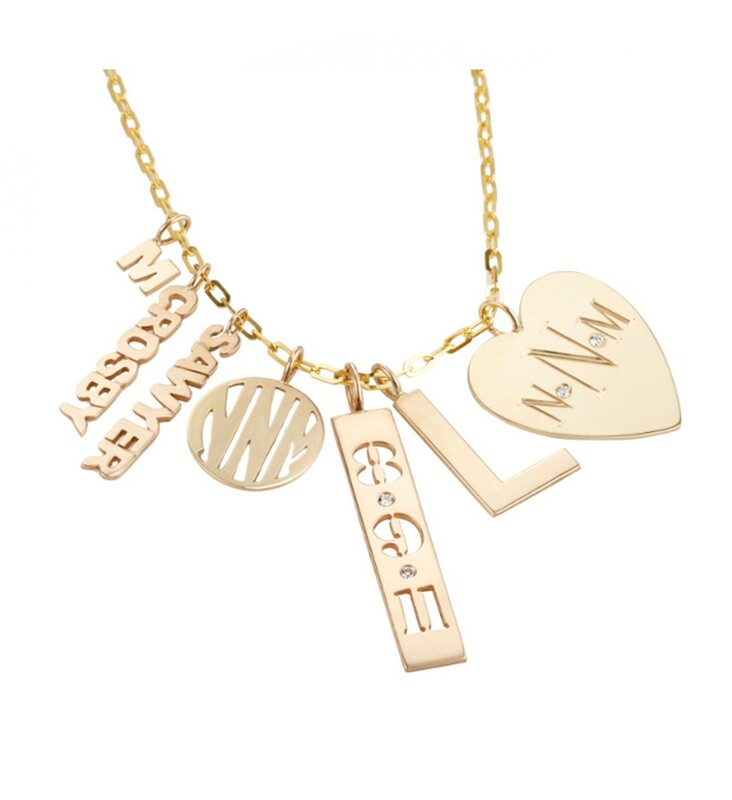 Monograms available upon request.